The show will include performances of their biggest hits including ‘ Straighten It Out’ , ‘Take You There’, ‘They Reminisce Over You (TROY)’ which was named one of the 50 greatest hits of all time by Rolling Stone Magazine and many more. Special guests have been invited to perform with the iconic Hip Hop duo in NYC and LA. Event listings with show cities, dates, times and ticket purchase information is available on Fuscicology’s website at www.fusciology.com. Fusicology.com is the official media partner of The Pete Rock and CL Smooth Reunion Tour w/Camp Lo. Since 2003, Fusicology.com has been the Source for Progressive Soul/Hip-Hop/House/Jazz/NuJazz/Funk Event Listings. Fusicology.com is a wiki for global events and nightlife. Fusicology also serves as a multi-faceted marketing entity for influencers that live and breathe music, fashion, style and subculture. Fusicology specializes in providing relevant information across multiple platforms. Fusicology has proven to be and effective at targeting early adopters and trend setting multi cultural urbanites on a national scope. Since 2003 Fusicology has helped support and sustain quality events, artists and Lifestyle brands. Fusicology features user generated & curated Concerts, Festivals, Conferences plus New Music, Videos, Art & Photos from their Cultural Diaspora. Bounce Media is a fully integrated artist management, lifestyle marketing and brand management boutique agency with expertise from the worlds of music, entertainment and urban culture. 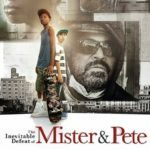 Previous Post The Inevitable Defeat of Mister & Pete in select theaters this Friday!